Mineral deposits in the coffee maker or in your coffee cup can cause a layer of scum or foam to develop on your coffee. This layer of scum can be caused by hard water, from mineral buildup or from leftover soap. Calcium is also related to the scum level on coffee. 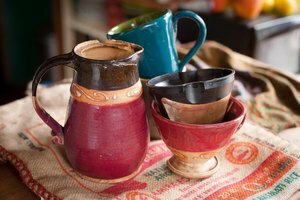 Not using milk or cream in your coffee can help combat this, but softening the water and cleaning the pot thoroughly is a better course of action. Run your coffee maker as you normally would, but don't put coffee in the basket and place 1 cup of vinegar in the well with the water. The acid in the vinegar will dissolve any mineral buildup in the coffee maker. 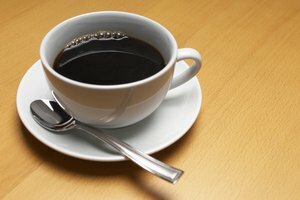 Mix a cup of white vinegar into a quart of water, pour the mixture into your coffee pot and let it soak for 30 minutes. Rinse the coffee pot out with hot water and use as normal. Wash your coffee mugs in a solution of 2 cups of white vinegar to 1 gallon of hot water. Do not add soap. Rinse and dry the mugs well before using. Consider getting a water softener installed if your tap water is very hard. This can keep mineral deposits and the subsequent scum from forming. Use distilled water to make your coffee. The distilled water does not contain the calcium or bicarbonate ions that harder tap water contains and won't create a layer of scum on the coffee.